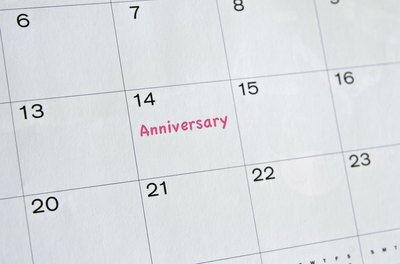 Though a nine-month anniversary is worthy of celebration, the event should be a warm-up for the exciting one-year anniversary. Activities should be fun and bonding but not extravagant or too over the top. Keep things simple and sweet but still make the day special. Choose activities you enjoy doing together and that will also bring you closer. This is a date for creating happy memories and will provide fodder for conversation and laughter when reflecting on your first year together. Bowling is an activity that could provide both laughter as well as bonding. If one person is more skilled than the other, this provides an opportunity for one to become the teacher and the other to learn from his or her mate. Teaching and learning from each other and passing on knowledge or skills helps couples grow together and learn to laugh at themselves and each other with love. Extreme and adventurous activities tend to build the strength of a relationship and likewise the bond between the couple. 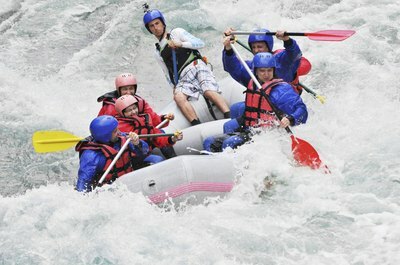 Set up an appointment for a rock climbing expedition, white water rafting or even sky diving. This will challenge you as a person as well as give your partner the opportunity to support you despite his or her own fears or concerns. This is an excellent way for a couple in a serious relationship to further grow together as well as create exciting memories and experiences. Spend a day outdoors hiking a mountain or taking a stroll through a park. Pack a picnic lunch and sit and talk among nature without the everyday distractions of TV, music and the Internet. Read to each other from a book or newspaper and reflect on your ideals, shared or individual, as well as your opinions. Keep the day lazy and light, taking the time to further get to know one another. Attend a play or a concert together followed by a dinner date at a trendy restaurant or drinks at a hip bar or lounge. Enjoy spending time together in a fun atmosphere and keep things lively and pleasantly romantic. Finish the evening with a stroll through the city, maybe grabbing an ice cream cone as you walk the town. Whatever idea you choose, ensure that it is not so extravagant that it will be difficult to top for the coveted one-year anniversary. Keep things simple and fun and focus on enjoying time together rather than turning the day into a large event. Gifts are not necessary unless they are humorous gag gifts, in which case, choose something that would invoke a laugh while conveying the personal knowledge you have gained of each other during your nine months together. Above all, celebrate the over 270 days you have spent thus far getting to know each other.